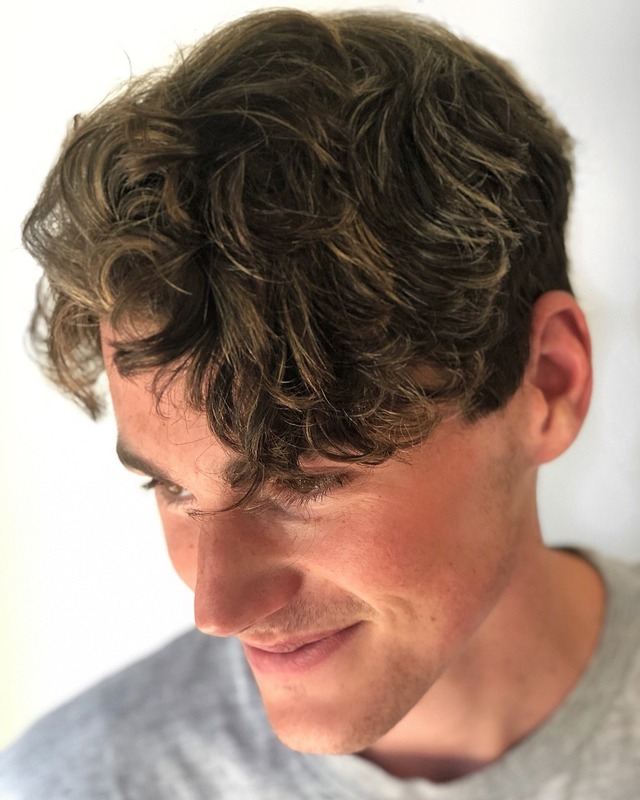 Styling your curly or wavy hair – and making it look exceptionally cool – can sometimes be a never-ending challenge. Everyone’s posting Insta shots of new hairstyles they have just tried or are about to try out. 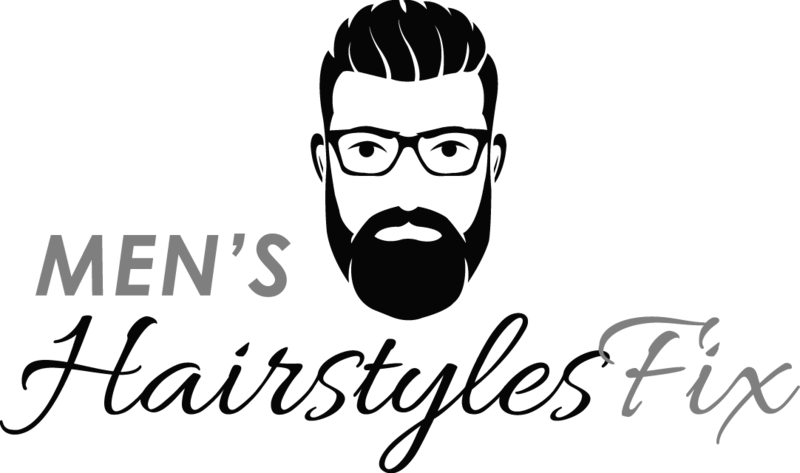 Well, no matter how hard it is to believe, most hairstyles are actually quite versatile – and will work on wavy or curly hair just as well as on straight. They won’t look the same – but you’ll still achieve a trendy look (with a unique twist). 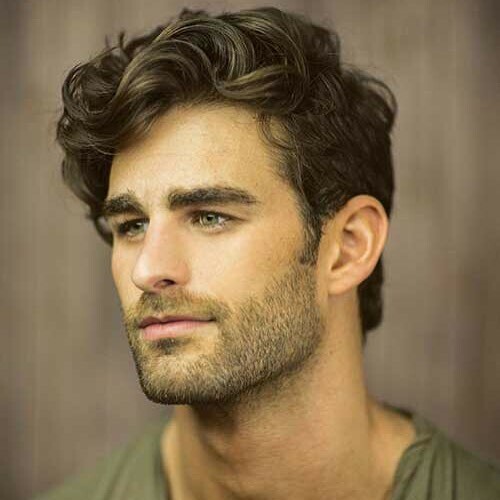 That said, there are definitely times when the same hairstyle looks even better on curly hair than on straight. Take a look at these, for example. Some real charmers which will be perfect for curly and wavy hair – whether it’s short or long. 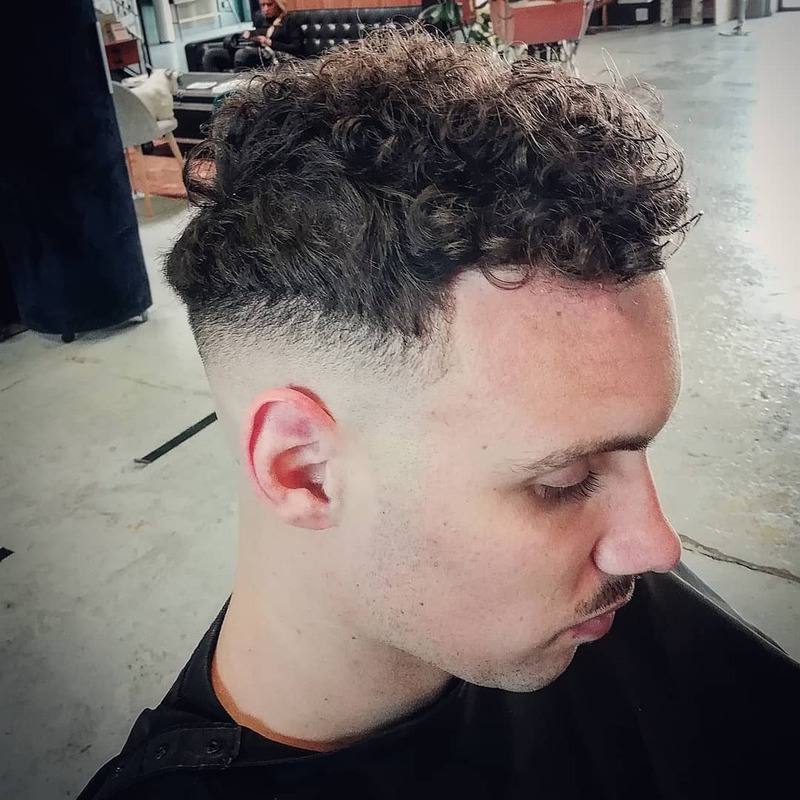 A fade is a fantastic way of creating a contrast between the long on top, and short on sides – but we think it looks even better on curly hair! More hair = bigger contrast! 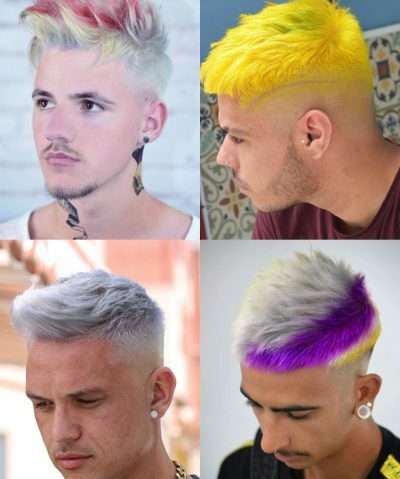 If you’re after a bolder look (get it?!) – then bald fade is what you’re looking for. 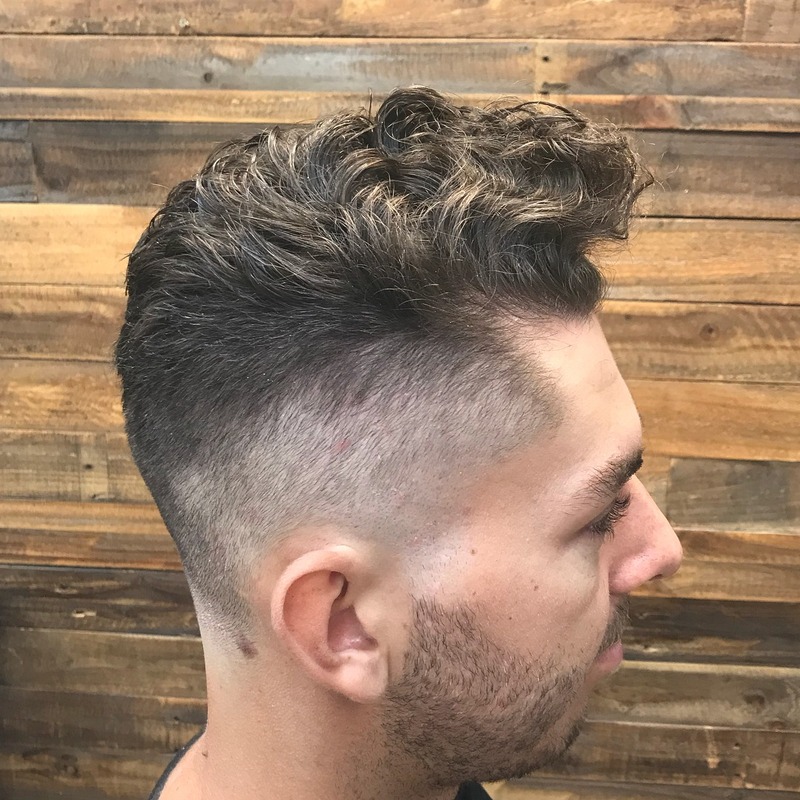 A great style for those who aren’t afraid to show the shape of their head or feel a little cold on the sides. If you’re a man who isn’t into having any part of their head shaved – we don’t blame you. We’re not that kind, either. 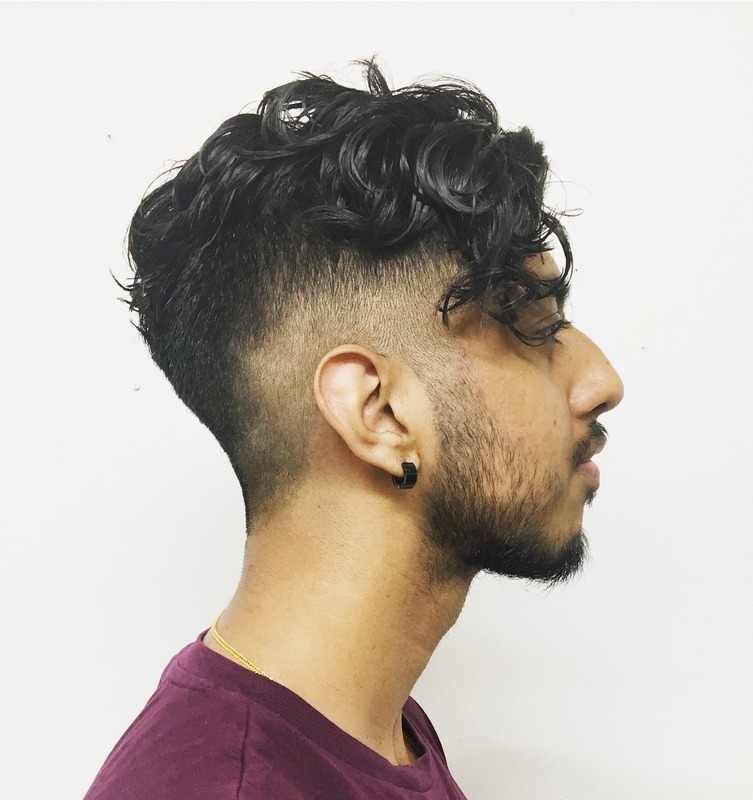 Go for a tapered cut instead! Someone who likes to stand out from the crowd a little would love this look. 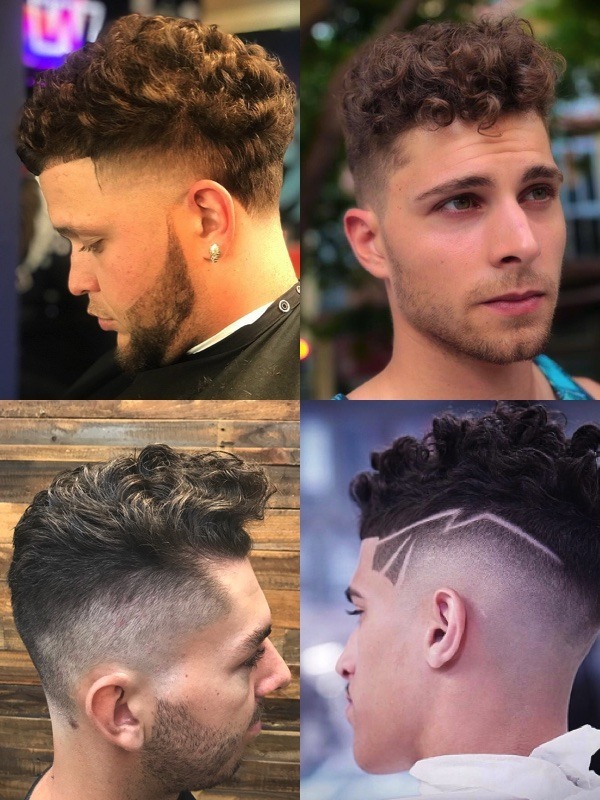 A unique design makes it nearly impossible to see anyone else on the street with the same look – and the contrast between the longer curls on top and bald fade does wonders in creating a look you’ll need to turn back and look at again. Guaranteed! What a fantastic look for a man with lots of hair! If you’ve been blessed with a messy do – embrace it. The bird’s nest is actually really in right now – particularly when paired with a low fade. The messier the better – that’s one of today’s hair styling mottos. For an even bolder contrast, go for a full on undercut. Pair it with a strong beard – and you’ve nailed the look of a modern-day macho man. 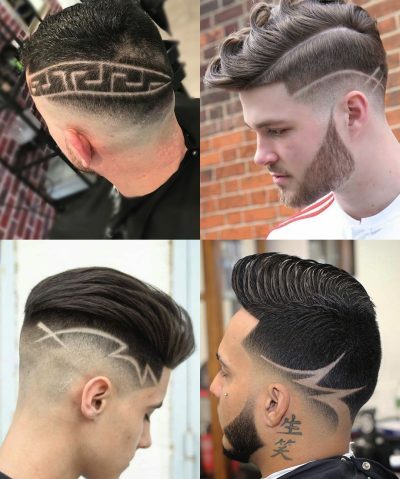 Not everyone is into trend-chasing – and there are some hairstyles that will never go out of style. For example, this classy medium hairstyle with slightly tapered sides. Charmer. 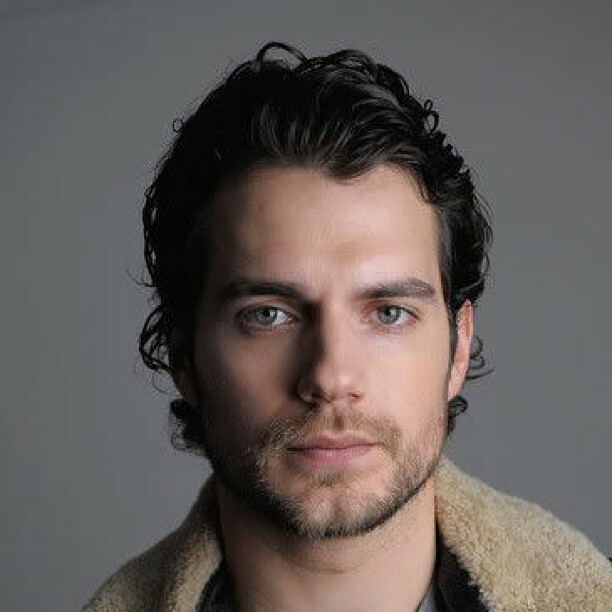 Another classic worth revisiting – a simple cut for medium-length hair with a short stubble. 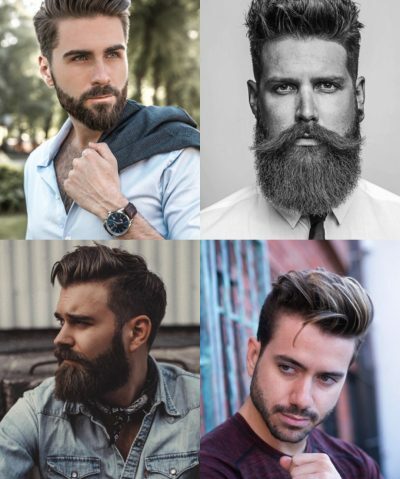 Our advice is not to go too crazy with the beard – there’s only a thin line between a neat, classy look and the “I have been playing video games non-stop for months” look. 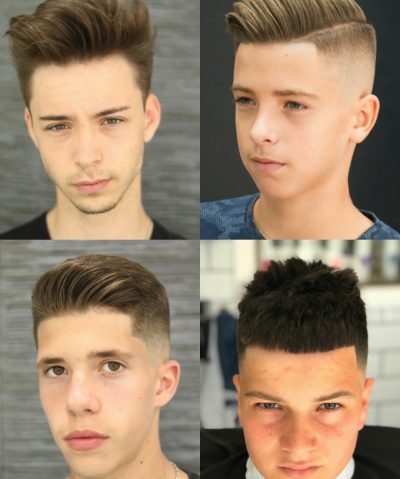 Fantastic style for someone looking for a trendier cut. 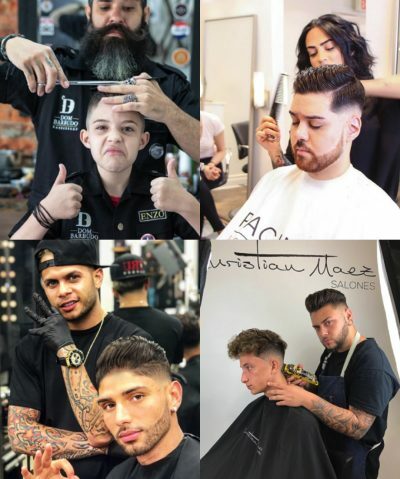 Ask your barber for a medium fade and an edge-up (if you’re a brave soul)– it looks flippin’ awesome! For those of you who have lots of volume that they’re finding hard to manage – quit trying to reduce the volume. Make it the essence of your look with a low fade on the sides and back. 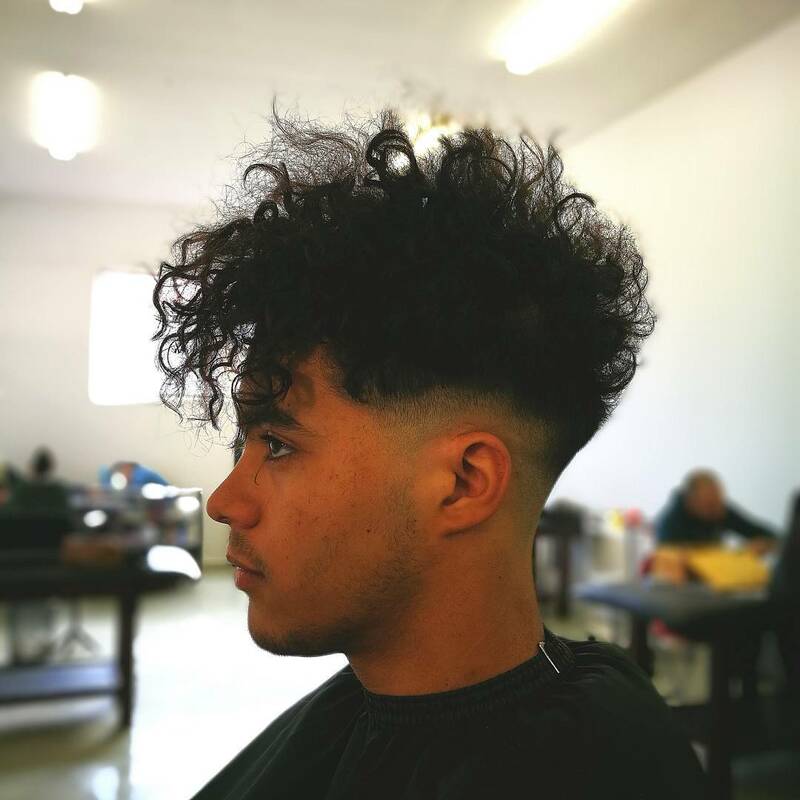 This way, the volume will accentuate the look – but it will not look overpowering. 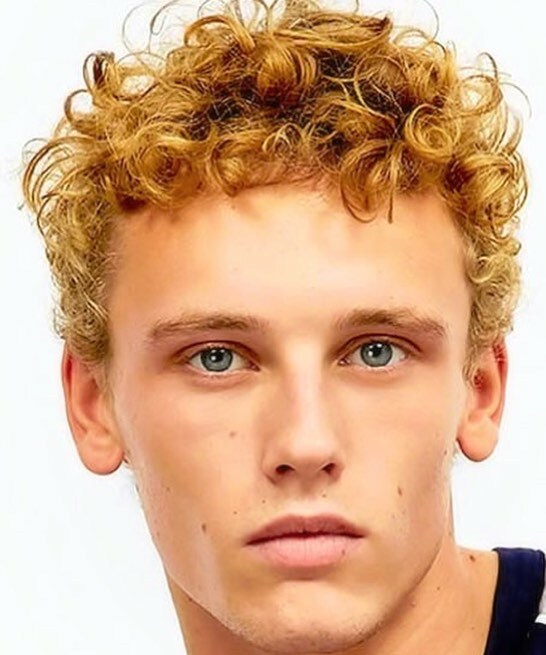 Embrace your curls, we say! 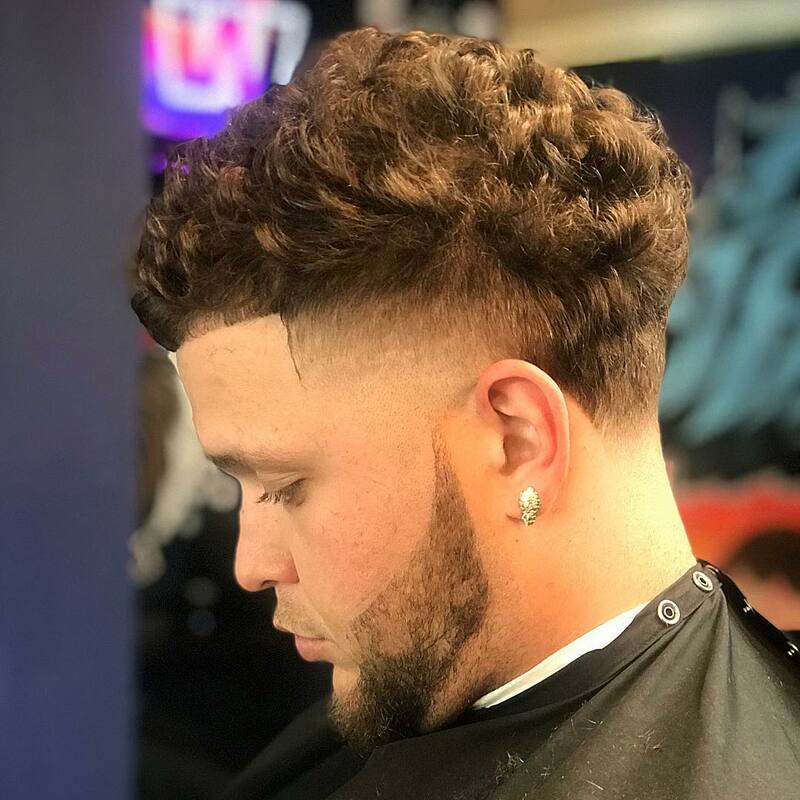 A high fade will leave the majority of your sides and back nearly shaved, but this way your curls can get the attention they truly deserve. 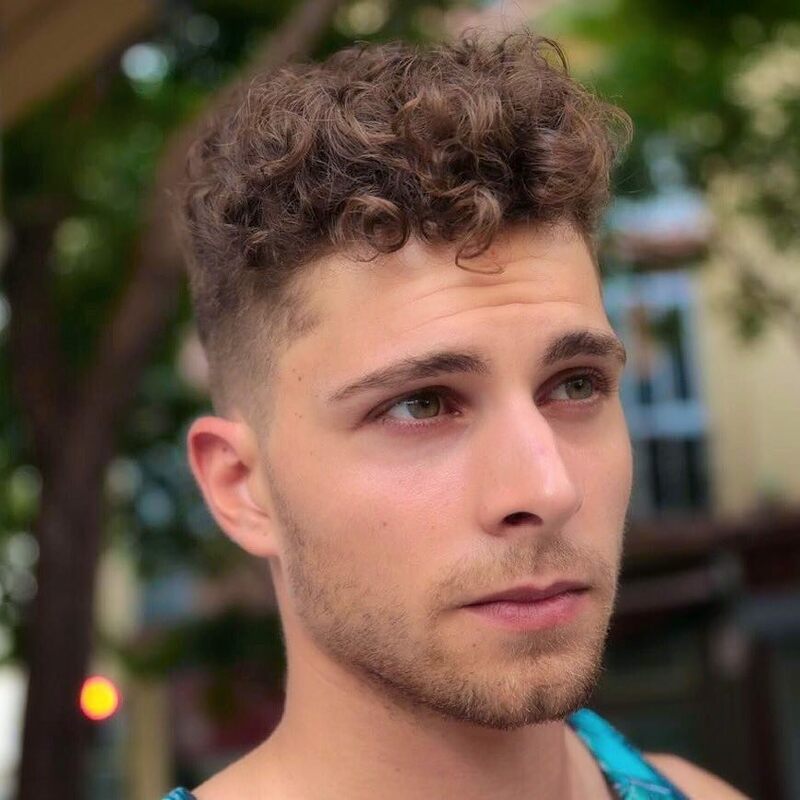 Managing curls isn’t easy – so make things easier for yourself by tapering the sides. 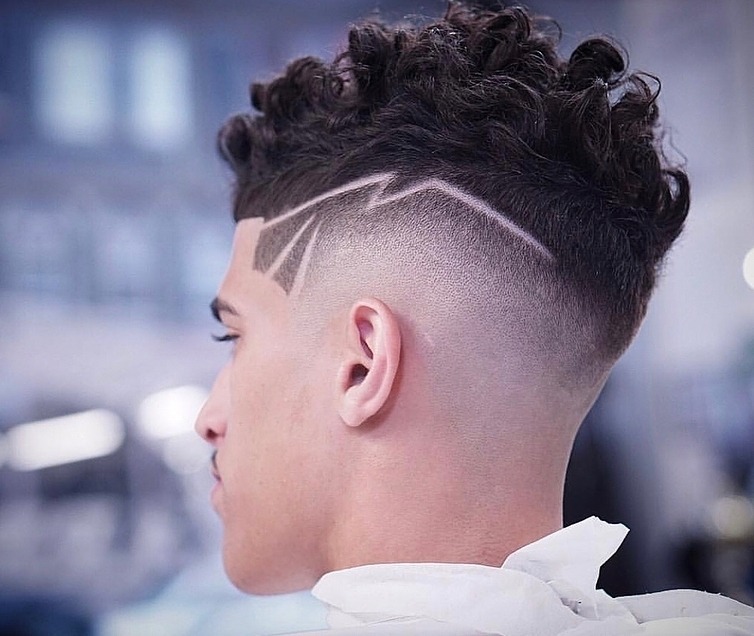 Tapered sides work with all hair lengths and instantly create a neater, tidier look – which is great for curly-heads who have been having to constantly battle their unruly, curly hair all their lives! 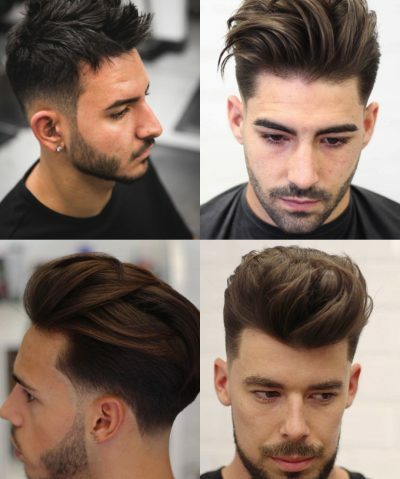 A taper doesn’t have to be short – you can leave longer hair on sides too, if you wish. 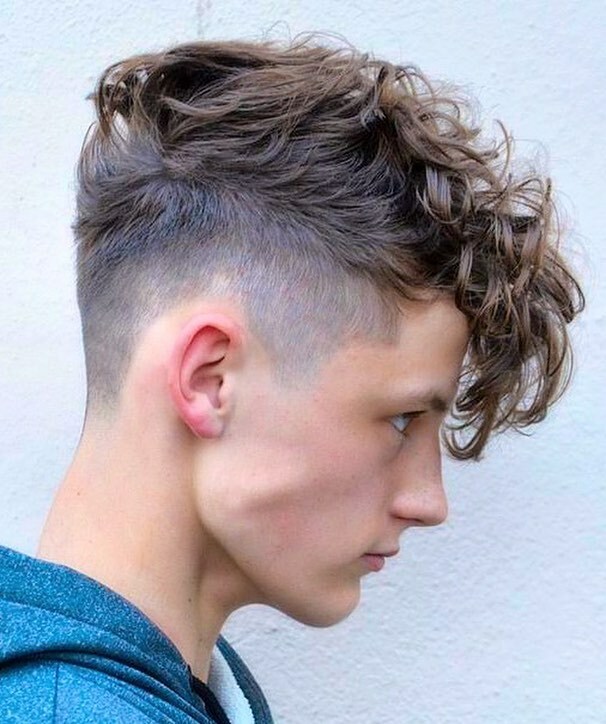 This is a perfect example of how fairly long hair on sides works just as well! Best thing of all – he has kept his individuality. 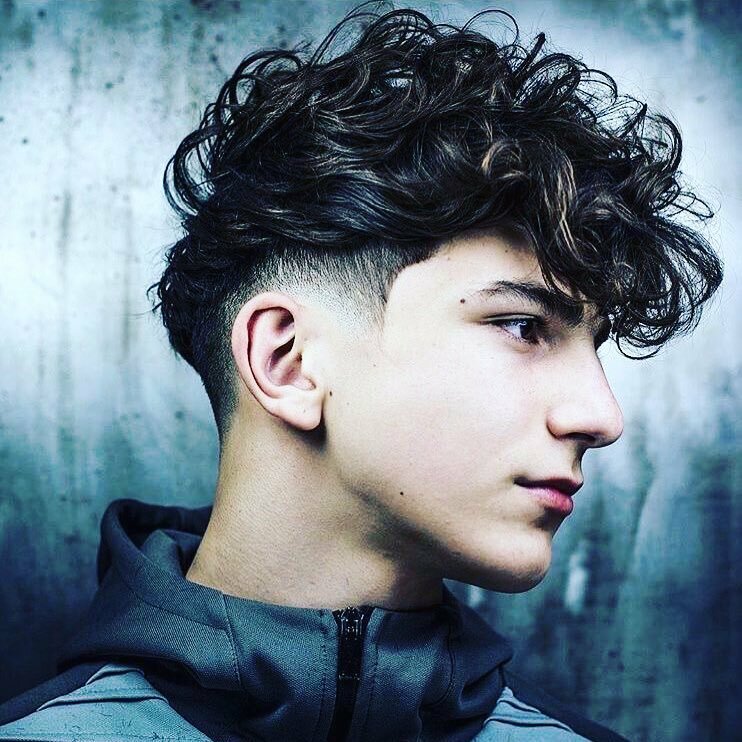 If you’ve been crying yourself to sleep because you think that curly-heads can’t pull off the pompadour hairstyle – we’ve got news for you! 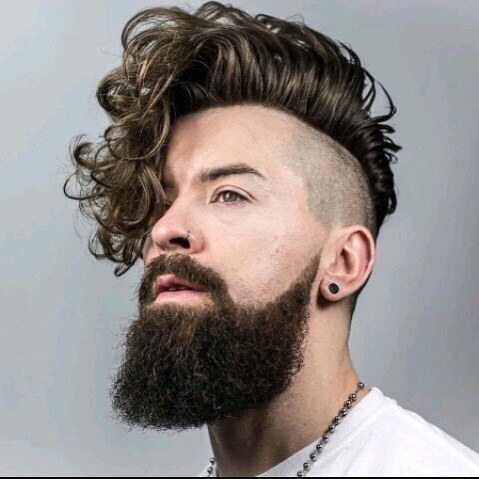 Check out this awesome pompadour on curly hair – and tell us it doesn’t look simply fantastic!? We’ve always been fans of lots of hair – but when the hair is on the fringe, it can be harder to pull off. 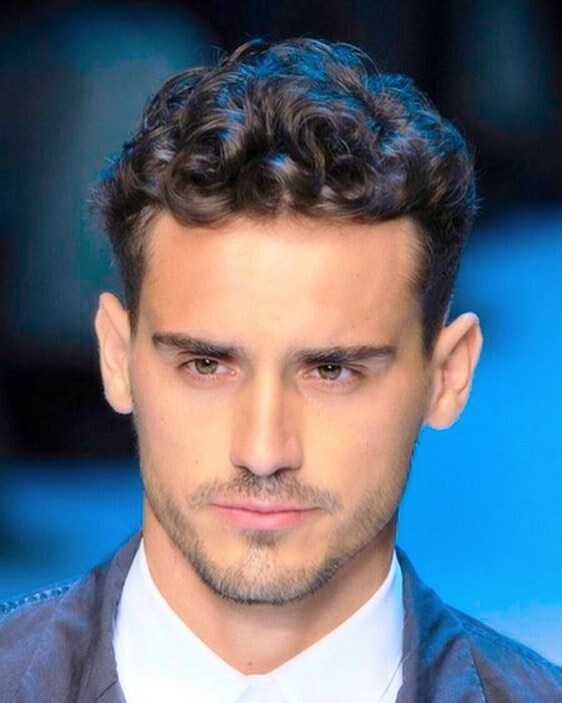 This hairstyle shines, however – and men with bigger foreheads and curly hair would definitely benefit from trying it! Word!